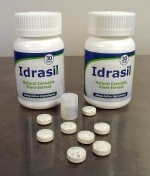 Idrasil, a full-spectrum cannabinoid pill, satisfies the medical community with its standardized 25 mg tablet and changes the way patients and physicians view medical marijuana. Unlike Marinol and Sativex, Idrasil is an all-natural cannabis plant extract containing the full spectrum of naturally occurring cannabinoids (phytocannabinoids), with a balance of CBD, CBN and THC. Idrasil also differs from inhalable medical marijuana by allowing the caregiver to provide a consistent formula and measurable dosage each and every time. “I have lung cancer and a brain tumor. I have found results in other cannabis products, but when I tried Idrasil, my handwriting, appetite and energy level all improved within a 24 hour period,” one patient stated to John. 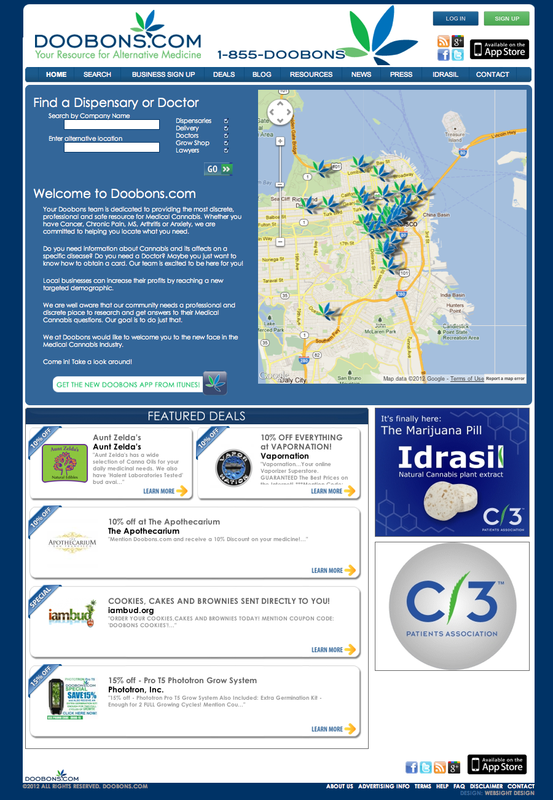 For more information about Doobons.com or Idrasil, call (415) 524-8099 or go to Doobons.com online. The best way to stay informed about developments on Doobons.com is to "like" them on Facebook and "follow" them on Twitter @DOOBONS. The five-star-rated Doobons iPhone app is now available for free on the iTunes app store for iPhone 3GS, iPhone 4, iPhone 4S, iPod touch (3rd generation), iPod touch (4th generation) and iPad that runs on iOS 4.3 or later.